The seconds hand in the clock shown has a length of five inches. 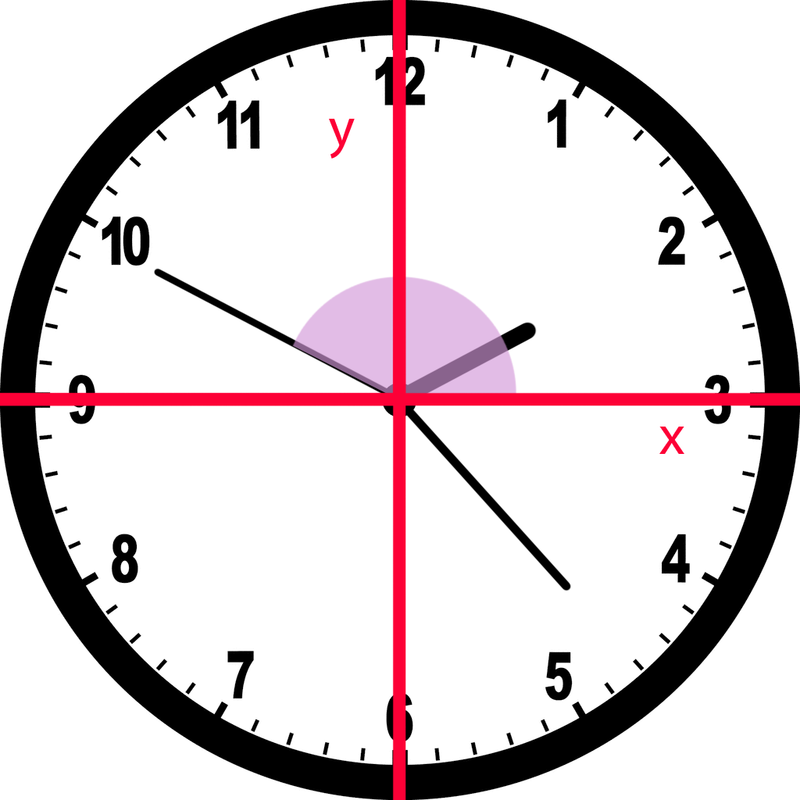 Find the velocity of its tip in the and directions at the depicted moment in time. Note that movement in the clockwise direction, when dealing with angular motion, is treated as negative. A metal cylinder with a radius of five inches and a height of twenty inches is being heated, causing it to expand. If the radius grows at a rate of and the height grows at a rate of , what is the rate of expansion of the cylinder's volume? wherein represents the cylinder's radius, and its height. The sides of a right triangle are increasing in length. If the shorter side, which has a length of , increases at a rate of , and the longer side, which has a length of , increases at a rate of , what is the rate of growth of the hypotenuse? A cylinder of height and radius is expanding. The radius increases at a rate of and its height increases at a rate of . What is the rate of growth of its surface area? Water is being poured into a cylindrical glass at a rate of . If the cylinder has a diameter of and a height of , what is the rate at which the water rises? At what rate, in meters per second, is the position of the particle changing at seconds? Next substitute 3 for t to find the rate of change of the particle at exactly 3 seconds. Now we need to simplify the right hand side. What is the rate of change of a square's sides if it has an area of which is growing at a rate of ? Air flows out of a spherical balloon at a rate of . What is the rate of change of the circumference when the radius of the balloon is units? Rutgers University-New Brunswick, Bachelor in Arts, Mathematics. Rutgers School of Law - Camden, Juris Doctor, Law.